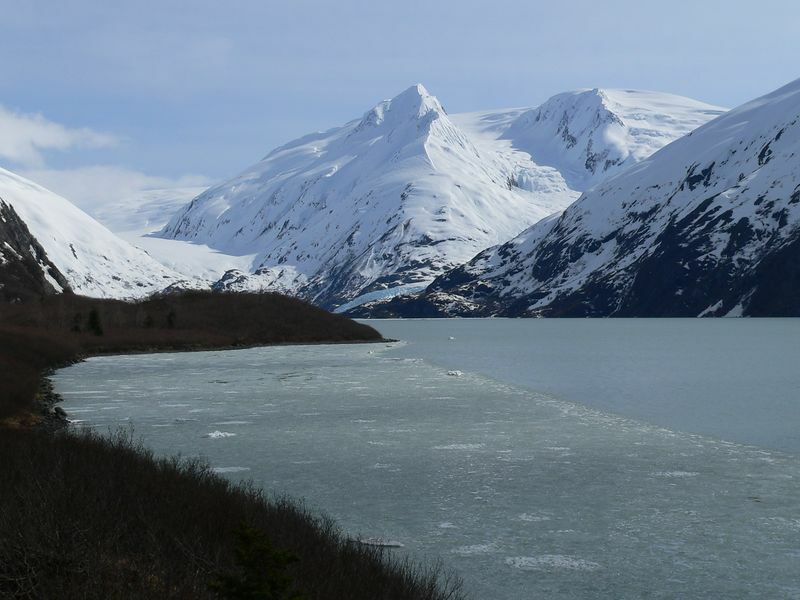 Six glaciers - Explorer, Middle, Byron, Portage, Burns, and Shakespeare - are located in the Portage valley area - the latter four feed directly into Portage Lake, and can be observed from various vantage points around the lake. This picture is looking south along the eastern shore of Portage Lake. Burns Glacier and the downstream tip of Portage Glacier are visible at the south end of the lake in this photo.